Adam S. McHugh: Introverts are welcome here! This blog is dedicated to people everywhere who have 2 defining characteristics: 1) They are followers of Jesus Christ and 2) They are introverts. A few years ago, through a process of honest self-exploration, I discovered that I was an introvert. I knew that I had always relished time to myself and found social interaction draining, but for most of my life I thought something was dreadfully wrong with me. It was incredibly relieving to discover that, though I did wrestle with deeper issues of insecurity that were not resolved by a personality test, I was in fact normal and that at least 1/4 of the population dealt with the same things that I do as an introvert. I was motivated to find freedom in my introversion and also to help fellow introverts do the same. 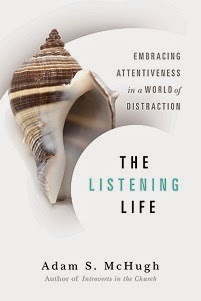 I have even been motivated to do some writing on this topic, especially in relation to the experiences that introverts have in the American evangelical church, which I think is largely extroverted in its bent. My hope is that this website can become a starting point for conversation about this topic and a haven for Christian introverts to find healing, community, and suggestions for navigating the waters of the evangelical sub-culture. I greatly welcome your comments, experiences, advice, and critiques that you have of what I say in this space. An introverted church, turned in on itself, preoccupied with its own survival, has virtually forfeited the right to be a church, for it is denying a major part of its own being. As a planet which ceases to be in orbit is no longer a planet, so a church which ceases to be in mission is no longer a church. In order to qualify for the name "church" we must be a community deeply and constantly aware of our "sentness," and actively loyal to this part of our Christian identity. This quotation, from the pen of a prominent evangelical theologian and preacher, reveals a common misunderstanding that says introversion is bad, self-centered, closed off, and pathological. 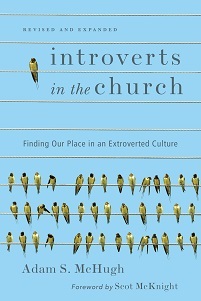 The subsequent description of the church in that quotation would indeed be a distortion of what Jesus had in mind when he chartered the Church, but to call it "introverted" is only to reinforce the stereotypes that externally and internally plague people who are properly and healthily called introverts. When God "fearfully and wonderfully made" each person, he was pleased to create 1/4 of the population as introverts, and we have great gifts to bring to the Church and the world.